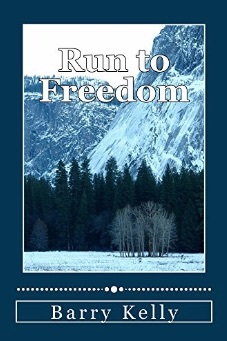 Author of "Justice Beyond Law," "Justice Without Mercy," "Shades of Justice," "Justice Without Mercy," and "Run to Freedom," as well as two ,"nonfiction books ,"INSIGHTS-The Transforming of America," and "INSIGHTS-Stepping Stones to Tyranny. He also is the author of the blog "8 Decades of Insights." 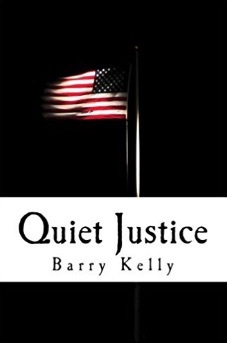 Barry Kelly is no stranger to the world of espionage, counter-terrorism, weapons, deep cover, and the inner workings of the governmental security apparatus. His immersion in the Cold War began with enlistment in the U.S. Navy during the Korean War. Following his discharge, he earned a BA from the University of Pittsburgh and a master’s degree from Duke. His career in the CIA included deep cover operations and overseas experience, primarily in South and Southeast Asia. He has been awarded the Certificate of Merit with Distinction, the Intelligence Medal of Merit, the Cross of Gallantry with Silver Star, the Distinguished Intelligence Medal and the Intelligence Officer of the Year Award. After retiring from the CIA, Kelly served as a special assistant to President Reagan. He holds a first dan black belt in hap-ki-do. Visit www.factsandfictions.com or find the author on Facebook.